Samsung Galaxy S3 Launches In Europe, What About The US? Shoppers on this side of the ‘pond’ are looking at European shoppers with some envy tonight. Our friends overseas are getting their hands on the hottest smartphone to launch since the release of the Apple iPhone 4S, the Samsung Galaxy S3. But it doesn’t look like it’s a completely joyous event in Europe. There are already reports of serious delays in getting the smartphone into the hands of shoppers who have pre-ordered it. According to the BBC, Samsung says that “a short supply of [the] Pebble Blue version is expected in some regions in the next two to three weeks.” This is apparently due to issues with the “newly invented blue colour and special hyperglaze material,” which make the Pebble Blue phones so distinct. That’s not the only delay though. The BBC is also reporting that Vodaphone, which has a four week exclusivity on sales of the Marble White, 32 GB version of the Galaxy S3, is warning of delays on that model. They say it may take the entire four week exclusivity period just to get the phones to their customers. Are we still feeling envious? Perhaps not quite as much. Maybe we are a little lucky in that these issues can (hopefully) be worked out before the phone launches here in the US. But the question becomes… will the current inventory issues delay the US launch? We haven’t been provided with a date for a US launch, so that’s hard to answer. Multiple sources are suggesting a US launch on June 20. 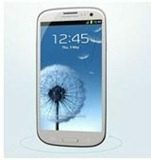 TmoNews, which has come up with some pretty accurate leaks in the past, is reporting that the “Metallic Blue” Samsung Galaxy S III will launch on T-Mobile on that date. But that’s the same blue model that Samsung is apparently having manufacturing issues with. June 20 is only three weeks away – will they be able to catch up by then? We’ll be keeping a close watch on this and let you know when new details come in. I can’t wait! Love what I have read about the S3 so far, can’t believe Samsung doesn’t have their act together with lots of inventory, considering all the promo they did.